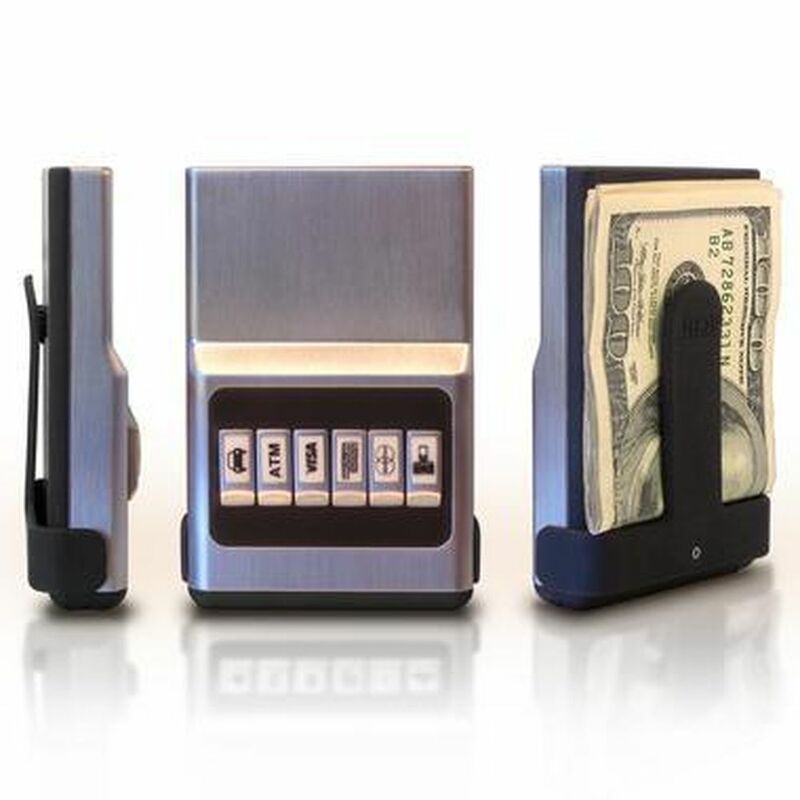 First gift suggestion and this one is just plain awesome… #10… The Skymall Wallet!!! This gift is just plain awesome and the price is as cheap as $40 or if you want to get fancier, they go up to $250! A wallet for any budget! It’s great for that guy who is developing hip problems from sitting on their over stuffed wallet (All George Kastanzas please leave the room!) Well, no more guys, not with this cool, handy gadget. 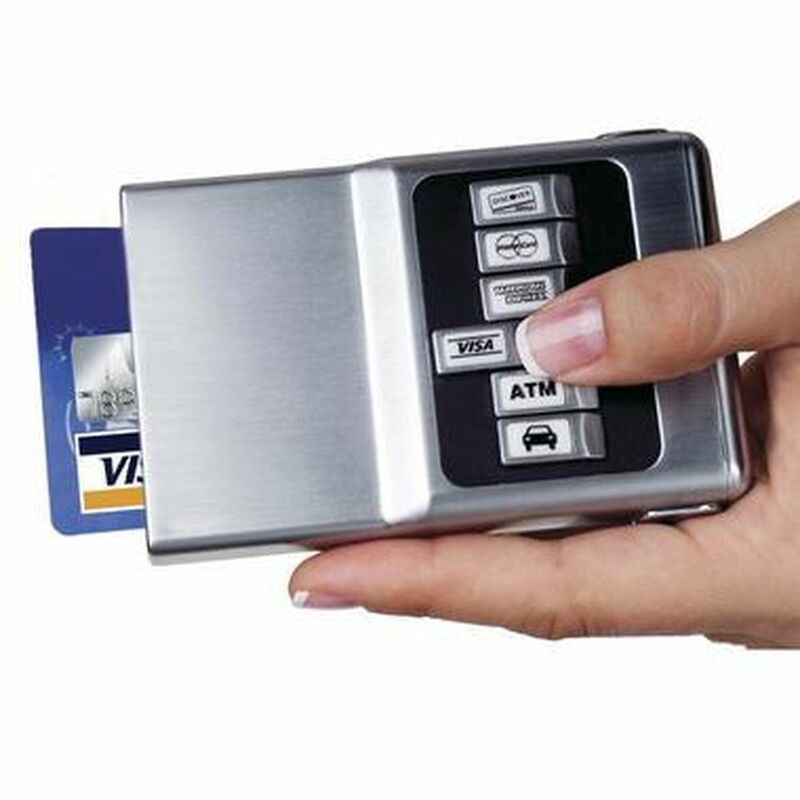 What the Sky Mall Wallet does is organize all your cards like your license, credit cards and so on… But that’s not all, it also has buttons with pictures of the type of card you want to use. When you push this button, the card you selected pops out, ready to use. Perfect for your older men who don’t see so well or have a hard time getting things out of their over stuffed wallets. This gadget is sure to amaze your man! I guarantee, he will be playing with it for days and will be eager to pull it out in social situations.! What sky mall has done here is made the wallet gift a lot more fun and inventive. I actually highly recommend their site if you want to shop for original gift ideas. They can get a little pricey, but they will give you some awesome gift ideas at least. So check it out! This entry was posted in 10 Great Gift Ideas for the Man this Christmas!! and tagged 12 days of christmas, brother, candy cane, candy canes, Christmas, Christmas movies, dad, frosty, gift ideas, gifts, Holiday, husband, jesus, jolly, Kris Kringle, mall, man, merry, presents, rudolph, sales, Santa Claus, shopping, shopping online, sky mall, snow, snowman.